The Sturdy Bar Stool by Moe's Home Collection instantly offers more seating in your breakfast bar or entertainment area. 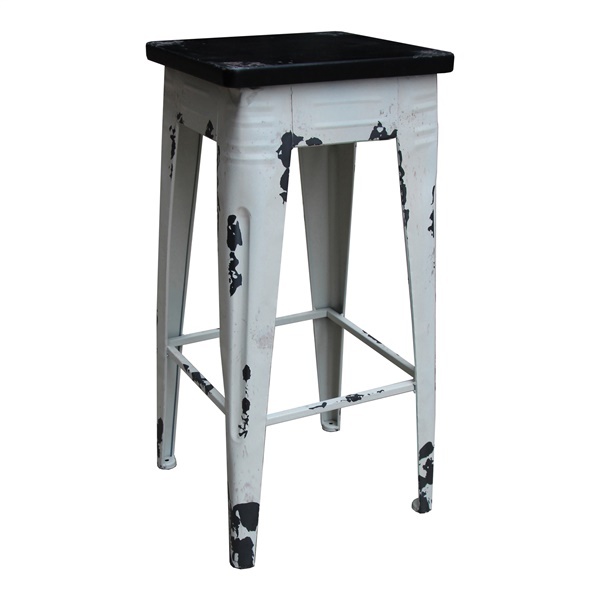 With four legs for ultimate stability, this stool features high quality MDF and iron construction with distressed details that add a rustic charm. This contemporary bar stool has a square seat and convenient footrest that makes sitting at your counter a more comfortable experience. The versatile Sturdy Bar Stool by Moe's adds a chic aesthetic to your modern space. Pair it with the Sturdy Bar Table to complete the look.